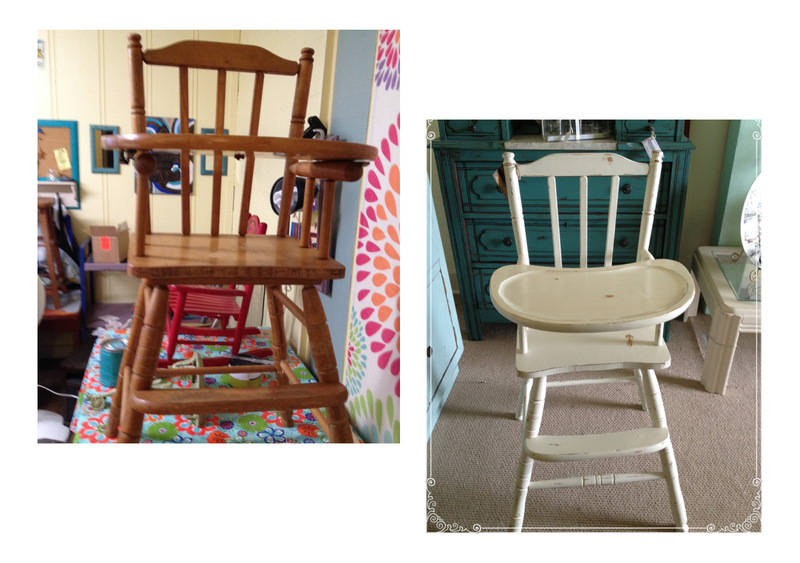 This is a sturdy wooden baby high chair with removable tray. 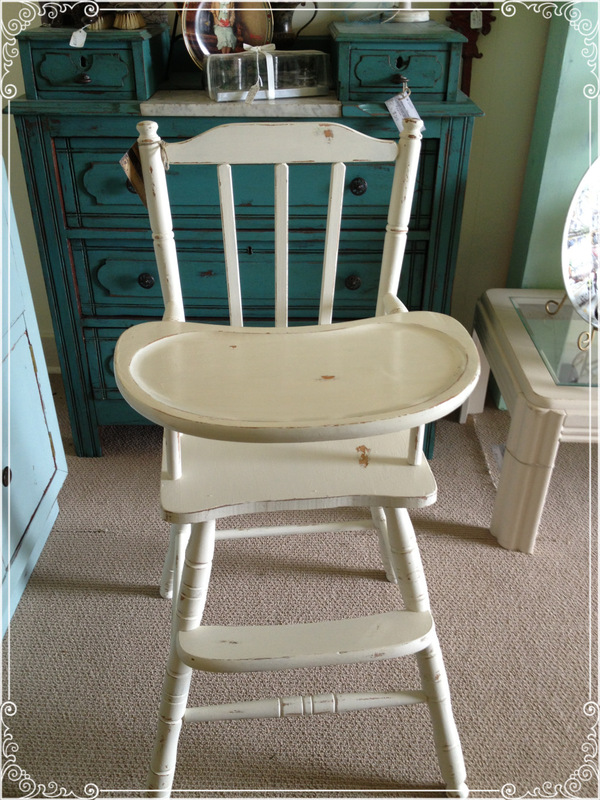 It has been painted antique white and clear waxed. The tray has polycrylic for easy cleanup. Priced at $85.00. Sold a few minutes after I posted this. 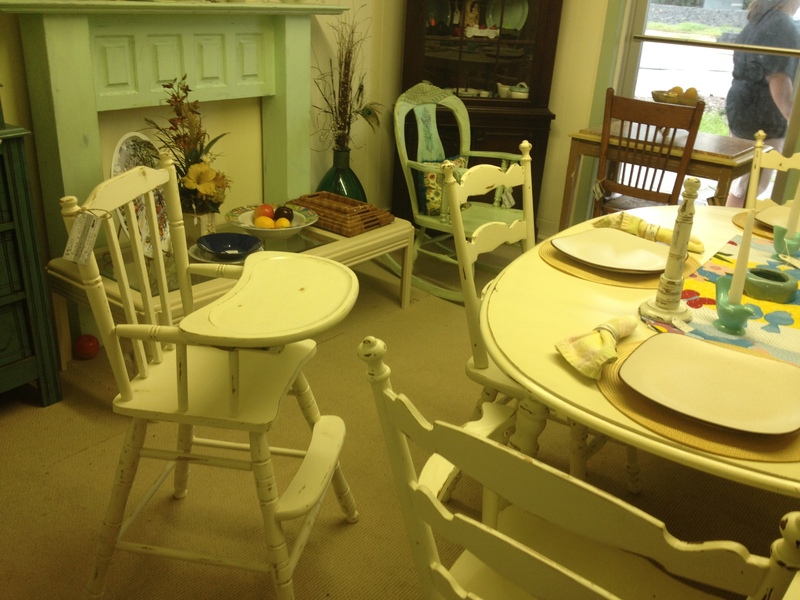 This matches the Antique white kitchen table and chairs that I have in my shop on sale for $500.